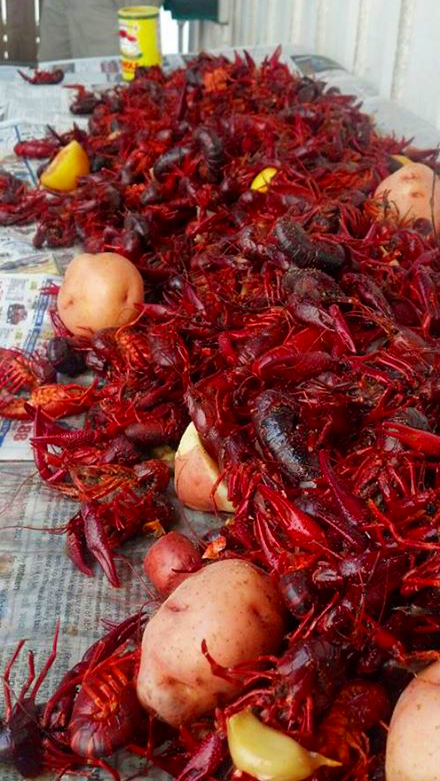 Remove crawfish from the sacks and place them in your tubs or ice chest. Wash crawfish thoroughly with running water, removing any that are crushed. It normally takes 3-5 washes, depending on how dirty they are. 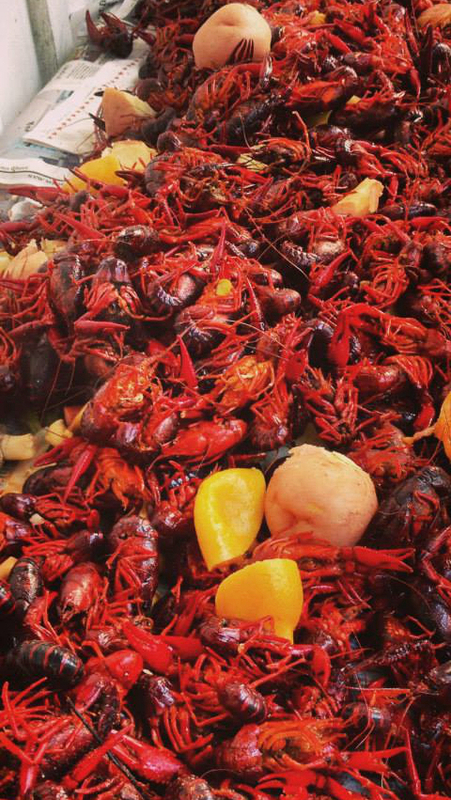 Optional: Purging – on the final wash, pour salt over the crawfish. Quickly rinse off as overexposure to salt will kill them. Return water to a boil, and boil approximately 1- 2 minutes. Turn off flame and let crawfish soak for 15-20 minutes depending on the amount of spices desired. Stir every five minutes to ensure even cooking. The crawfish will float to the surface when finished cooking. In the other pots indoors, add seasoning and boil veggies for the vegetarians and sausage (I cook the sausage separate from the crawfish so the crawfish don’t get coated in pork grease). Remove contents of the boil, drain, and dump onto the outdoor table along with the sausage. Sprinkle additional Cajun seasoning on top crawfish from the boil and enjoy! *Normally plan on 2-3 lbs. a person for the carnivorous, less for the soft hearted, and lots more if you have native Texans or Louisianans attending. The measurement for the other ingredients is what I use per 15 lbs. of crawfish, adjust according to preference. ** This is a controversial method of cleansing crawfish. I normally do not do this as I feel it kills some of the crawfish, but others argue this forces the crawfish to “purge” their bodies because they do not like the salt. Note: If you live in a location where it is difficult to obtain crawfish, there are several websites where you can order shipped crawfish from Louisiana. I have used LACrawfish the past 5 years and they have always delivered quality crawfish on time.